In fact, we all have two of them. TMJ stands for Temporomandibular Joint, and we all have two of these joints, which function together to open and close the jaw. 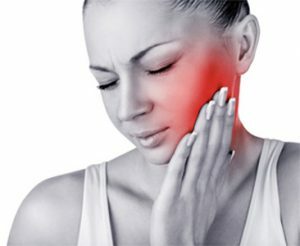 What people mean to say when they are referring to their TMJ issues is that they have ‘TMJ pain or dysfunction.’ Just like any other joint in the body, the TMJ can have complications and pathology such as arthritis, disc degeneration, and muscular dysfunction, all of which may lead to pain. This pain may present with chewing, yawning, talking, or even as a headache. And just like any other joint in the body, the TMJ can be treated with physical therapy. In therapy, we use manual techniques like massage and joint mobilizations, dry needling, modalities such as ultrasound, and postural reeducation to help relieve and prevent future jaw pain. If you are experiencing any pain or discomfort related to the jaw, come see a physical therapist today for an evaluation. We have physical therapists on staff who have pursued additional training and coursework in this subspecialty. For more information, visit our website or call us at 404-303-9153.